In today’s episode, Cody and Justin interview Chad aka Coach Carson from CoachCarson.com. 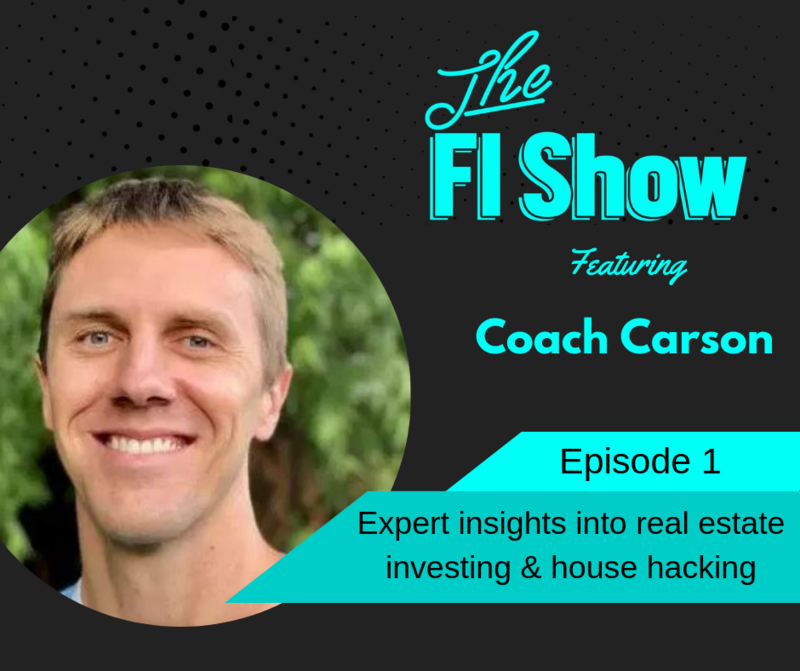 Join them as they dive into Chad’s financial backstory and learn how he realized that he couldn’t become another member in the rat race and turned to real estate to create an impressive portfolio of rental homes. He now has a huge following of people looking to follow in his footsteps to financial independence through real estate. Chad is down to only devoting 1-2 hours a week to his rental portfolio and instead spends his time traveling, spending time with his wife and kids, and luckily for you, coaching members on how to own the real estate game just like him through his blend of free and premium online courses. You also won’t want to miss out on his new book Retire Early With Real Estate. Make sure to listen to the full episode for details on how to win your own free copy! Leverage the networks available to you! Chad mentions getting his first real start with investing came from chatting with a college professor from a class he wasn’t even enrolled in. Then he mentions the great resource in Bigger Pockets. Basically, you don’t have to go into this blind or alone. Be efficient. Don’t try to reinvent the wheel. When looking for quality contractors, property managers, or any other service you need, utilize referrals before simply cold calling. When you do get those contractors hired, tag along and try to learn a new skill yourself. Be set up to avoid the downturns. Chad was quickly faced with the worst real estate market turn we may ever see in our lifetime. He survived by pumping all the cash income back into his properties and not wasting it on increasing his lifestyle. Never mistake early success for being bulletproof. Find deals with room to pay for the work. The point of finding all these deals is to create a portfolio of income streams so you can stop working and find financial independence. If find deals that can only make money with you doing the work, then you are just swapping whatever job you have now for a new one. That’s not the point so make sure you earn enough to pay someone else for the labor. House hacking comes in flavors. The biggest expense most Americans have is housing. If you can find a way to have someone else pay your mortgage, you have just made a huge step towards financial independence. This could be having roommates, neighbors in a duplex you own, or even a live-in house flip. Regardless of your situation or your zip code, don’t disregard the idea of house hacking.